Saunas have been in existence for thousands of years. Its popularity is attributed to the many health benefits that come with its use. Sauna rocks are the pillars of these healthy little rooms. Thus, more and more people try to find the best sauna rocks to use to maximize the benefits. However, choosing the right sauna rocks is easier said than done. There are specific qualities that the rocks need to meet before they could be regarded as the best of the best. From the size of the rocks to the amount of water to splash it with, there is a lot to consider. Among all the products in the market, six products have been chosen for this roundup, and will be reviewed thoroughly to find the best rocks to use for your sauna needs. 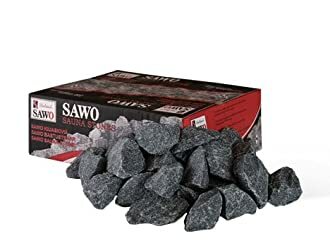 40 pounds of high quality SAWO Sauna Stones from the reputable manufacturer SAWO. These sauna rocks blend with dry air after storing heat from the heater, creating a relaxing and enjoyable ambiance for saunas. SAWO Sauna Stones don’t crack. SAWO Sauna Stones are big. 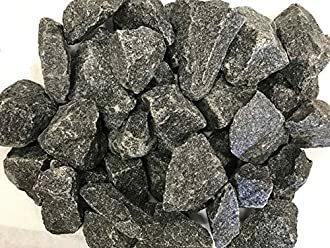 Manufactured by The Sauna Place, 25 pounds of replacement sauna rocks are perfect for majority of the heaters around. Imported from Finland, these rocks are peridotite stones, and sized specially to fit most heaters. 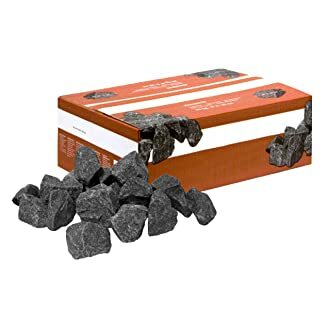 Another product from SAWO, it comes in 35 pounds of Finnish rocks for most of the electric, gas, or wood burning sauna heaters. Manufactured by The Sauna Place, peridotite stones from Finland are perfect for replacing existing stones or even for new heaters. 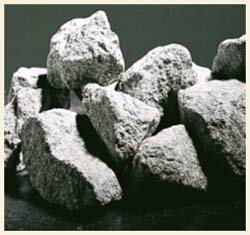 Manufactured by FINO, this 30 pounds of dolerite rocks are intended specifically for high output sauna heaters. 30 pounds of Baltic Leisure Sauna Stones from the manufacturer Baltic Leisure can withstand rapid heating and cooling. Before tackling the importance of sauna rocks, it is crucial to have a background regarding saunas to understand the concept behind these rooms. A sauna room is a small room that allows a user to experience a dry or wet heat session. The heat is provided by the steams of heated sauna rocks. By splashing water on the heated sauna rocks, steam is released. A tepidarium uses deck-chairs to heat the body and achieve complete stress relief. It has a peaceful atmosphere and temperature that is close to the body in the form of a deck-chair. Herbal sauna has a lower temperature than Finnish sauna and the aroma aids in providing relaxation with the help of different sauna oils. Laconium is a milder form of Finnish sauna, and the body is heated after a short time. Circulation and heart beat are stimulated, and blood pressure is regulated. Salt Steam Sauna uses the rise of the body temperature as a starter for the exfoliation of the skin using different salts that makes the body healthier-looking. Thalasso sauna vaporizes the brine from Piran salt pans to improve respiratory health. Thalasso improves body regeneration gently. A Moorish Steam sauna is a traditional Turkish bath in which the humidity provides extreme relaxation. The Finnish Sauna is the most well-known type of sauna and is considered as the traditional type of sauna. It has a high temperature to stimulate perspiration. An infrared sauna, however, is a wooden box or room that contains infrared heaters. These infrared heaters create infrared waves that heat the body directly. As opposed to regular saunas that use the air the heat the body. The infrared sauna isn’t considered as a type of sauna by the Finnish sauna societies. Himalayan salt is often used in an infrared therapy. Though called as a “sauna”, portable steam sauna is not considered as a sauna. It is just a portable device mainly used for weight loss. Not to be confused with steam showers, sauna is an enclosed room constructed with soft wood that has a heater to heat the rocks while steam bath or steam shower is a bath using a steam generator to produce steam or mist. An indoor sauna is easier to install, and it is more affordable. It is easier to install because being indoors, it has convenient access to the electrical and water systems of the house. An outdoor sauna, on the other hand, while allowing you the liberty of deciding on the size, visual, and location of the sauna room, is more expensive to install because you need additional wiring for the electrical and water systems. Sauna relaxes muscle aches and pains. Playing a crucial role for saunas, sauna rocks keep the heat from the heater before releasing steam after water is applied to the rocks. After turning off the heaters, the rocks preserve the heat in the room for the sauna session. This keeps the sauna room heated at a certain temperature. The best rock for sauna is undoubtedly the igneous rock because it has a good thermal mass. Good thermal mass means that these rocks absorb thermal heat better than any other rocks to maximize the sauna experience. Non-porous rocks are ideal. These are the dense and rough rocks. It is also important to choose rocks that don’t have cracks because rocks that have cracks will store water, and this might cause the rock to explode in the sauna. Rocks that have a good resistance to chemical and thermal weathering is the most ideal type of rock for sauna. Different rock sizes hold heat and release steam differently. If the rock is of a larger size, it holds more heat and maintains thermal mass better. A smaller rock will react faster in turning water into vapor. It is good to have different sizes of sauna rocks. If the rocks are filled compactly, the larger rocks that get splashed with water can retain heat better by having smaller rocks around it. The more the sauna is used, the more frequent the sauna rocks have to be replaced. To make the most out of the rocks, repositioning them every now and then helps. The bottom rocks disintegrate faster and the rocks on top get splashed with water more often, so the rearrangement of the rocks help. This is the word used to refer to the steam that comes after throwing water on the rocks. It is tempting to throw a lot of water on the rocks, but keep in mind that smaller amounts of water are better for the rocks. Splashing cold water on the rocks will create more steam, but doing this often will cool the rocks faster and might wear out the rocks. Considering the reviews from customers as well as the research that was made and the information gathered from multiple resources, the clear winner of this product round up is the 45lb Peridotite Sauna Heater Stones by The Sauna Place. Peridotites hold heat well and do not explode because the rocks are really dense. They are also heavy, and rough surfaced. The Peridotite Sauna Heater by The Sauna Place is big. The small sized rocks help in providing rock size variety, which is ideal to retain the thermal heat well. Peridotite is a well-known igneous rock that has been considered as the best rock to use in a sauna. It is coarse-grained and dense. The peridotite used by The Sauna Place is from Finland, and the Finns supply the best sauna rocks ever.